High above the citrus groves of the Almanzora Valley, beyond the sun-baked terraces of traditional Spanish pueblo life, strange white-domed shapes loom like imposing bulbous giants atop the pine-clad Sierra de los Filabres. For the curious among us wondering what menace or mystery lies upon these mountain summits, a little further exploration reveals all. 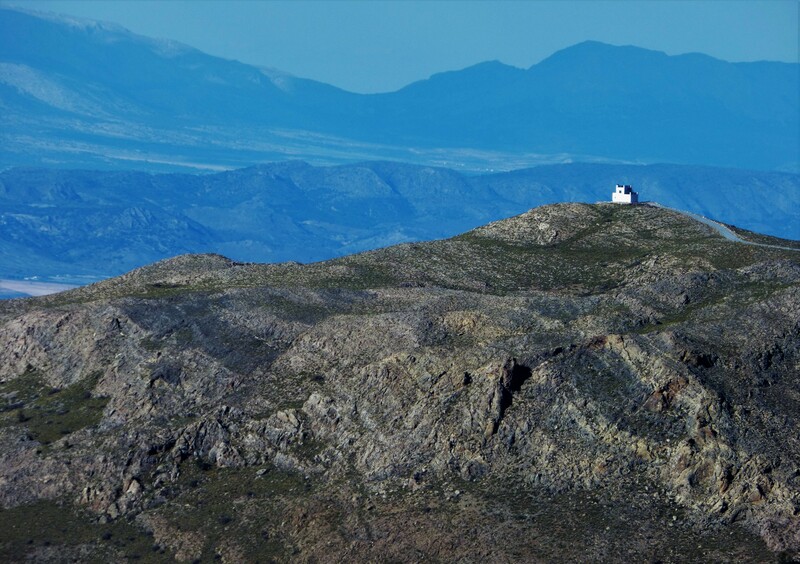 At an altitude of 2,168 metres, nestling among rocky moss-strewn outcrops and occasional herds of springing Spanish Ibex goats, lies the Calar Alto Observatory, the largest astronomical complex in continental Europe. The setting is spectacular. At 50km in length, the Sierra de los Filabres is the largest mountain range in Almería Province, and Calar Alto its highest point. To the south lies the desolate Desierto de Tabernas, Europe’s only desert, doing a fair impression of a barren lunar landscape. Far towards the west, the noble Sierra de Nevada rises between the coast and the outstretched plains of Granada, slivers of perennial snow lacing its uppermost slopes. Calar Alto’s location is undeniably worthy of the majesty of the heavens it observes. 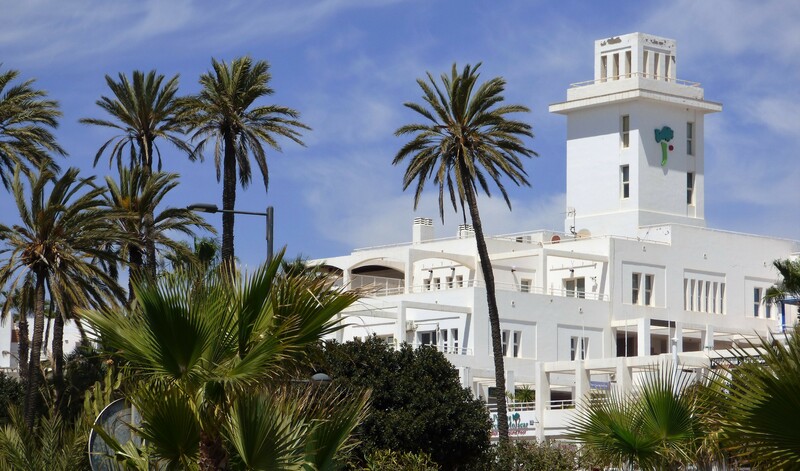 Generally, Almería (pronounced Almer-Ria not Al-MEER-iya ) is probably better known for its dusty towns, ex-pat valleys, and the palm-fringed paseos of popular coastal regions such as Mojácar and San Juan de los Terreros. Families may entertain themselves with a day’s outing at Mini Hollywood, near the town of Tabernas. Here, staff play the part of actors playing the part of cowboys and recreate classic Western film stunts. Mock gunshots are fired and spur-booted bodies tumble onto, well, where X carefully marks the spot (of a cushioned landing). 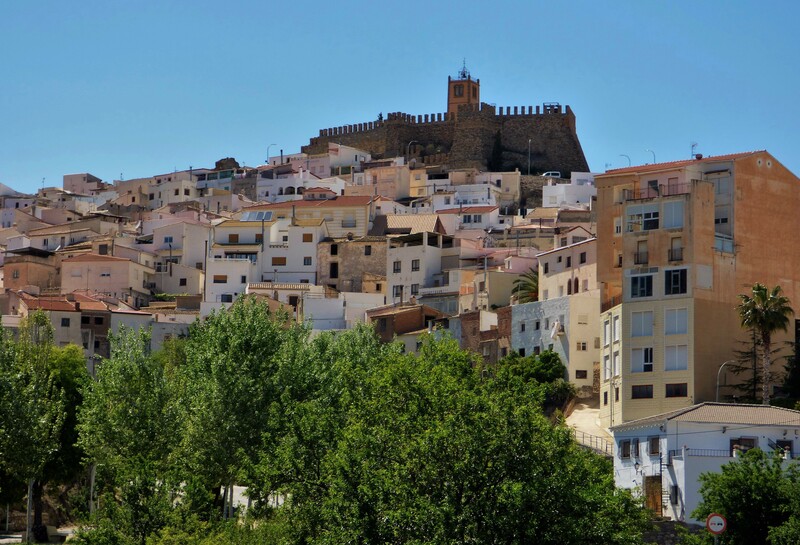 Culture vultures will fuel themselves with multiple tapas pit-stops as they explore steep picturesque villages such as Serón or the cave houses in the Baza region. Outdoor recreationists can find all manner of activities within easy reach, from the whole gamut of watersports to horse-riding and cross-country hiking. But up on these here peaks, even more exciting things are happening. Potential space invaders are being closely watched and unimaginably long journeys into the cosmos are being considered. 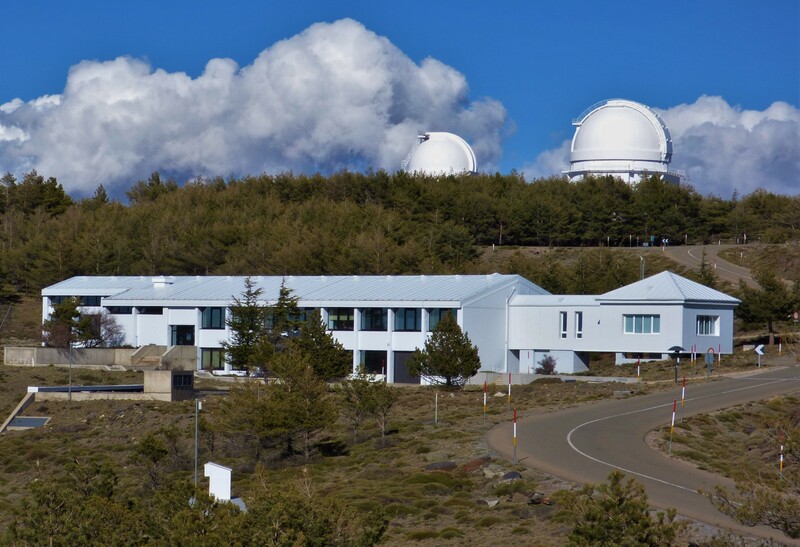 Opened in 1975, the Observatory is owned and operated jointly by the Max-Planck Institute for Astronomy in Heidelberg, Germany, and the Institute of Astrophysics of Andalucía in Granada. 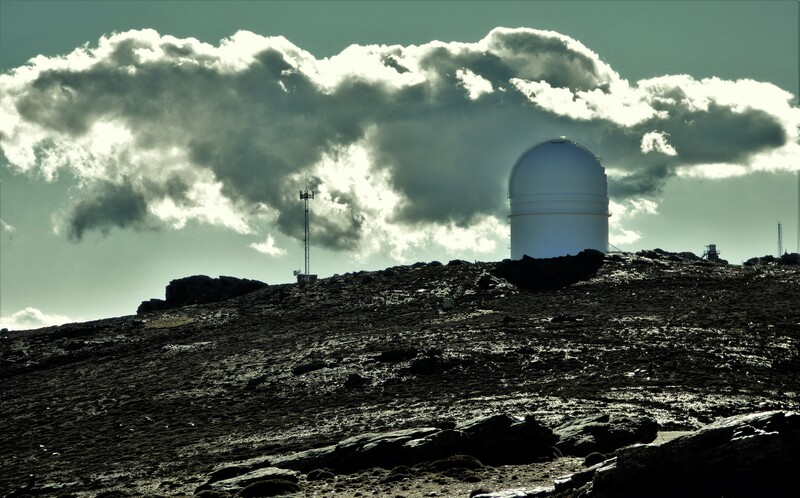 Boasting the largest telescope on mainland Europe (a 3.5m reflector) among several others, the site also houses an impressive range of state-of-the-art instruments such as the CARMENES Planet Hunter, created to survey our galaxy for second Earths. The search for extra-terrestrial intelligence (known as SETI) has been a mainstream news staple for many decades. Recently, a SETI project called Breakthrough Listen, backed by the late theoretical physicist Stephen Hawking, made the headlines. But CARMENES will focus on the more practical business of finding a new habitable planet – should we need one in the next, oh let’s say, several thousand million years… It’s a good thing we’re looking now though, because it would take one heck of a long time to get there at the rate we’re capable of today. Meanwhile, to ensure we’re not annihilated by incoming comets or asteroids (self-destruction is another matter entirely, and possibly far more likely), the Observatory, in conjunction with the European Space Agency (ESA), is currently monitoring those Near Earth Objects (NEOs) that approach within a certain range of our atmosphere. Or even invade it, as in the case of the 2013 Chelyabinsk meteor incident in Russia. It’s not that we’re in any imminent danger that we know of, but the more we learn about the composition and motion of these NEOs, the better equipped we’ll be to deal with any rogue wanderers, without having to go all Bruce Willis-style Armageddon on it. What’s encouraging is that the 80cm Schmidt telescope being used for this valuable exercise fell into disuse 15 years ago and has been restored specifically for this purpose. It’s another sign that things are looking up for Calar Alto (I had to get that one in somewhere). 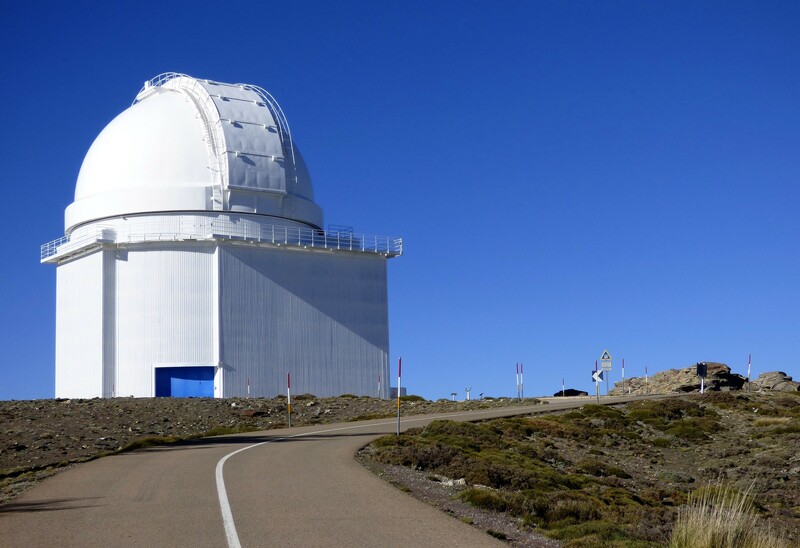 For many years an almost anonymous centre for respectable (if not widely promoted) scientific endeavour, the Observatory is also undergoing a considerable improvement to its public image. In January this year, a team of dedicated and passionate scientists, educators and entrepreneurs launched Azimuth, an organisation committed to a long-term programme of astro-themed events and activities, (from €10 pp), in partnership with the Observatory itself. One of the most innovative offerings comes with the ‘Astronomer For One Night’ experience, a 6hr session including a presentation, dinner and an exclusive stint at the 1.23m reflector, all fully supervised. It’s the first of its kind in Europe, and with astrotourism widely acknowledged as an emerging niche in the travel industry, an opportune way to bring the valuable work of the Observatory into the public domain. 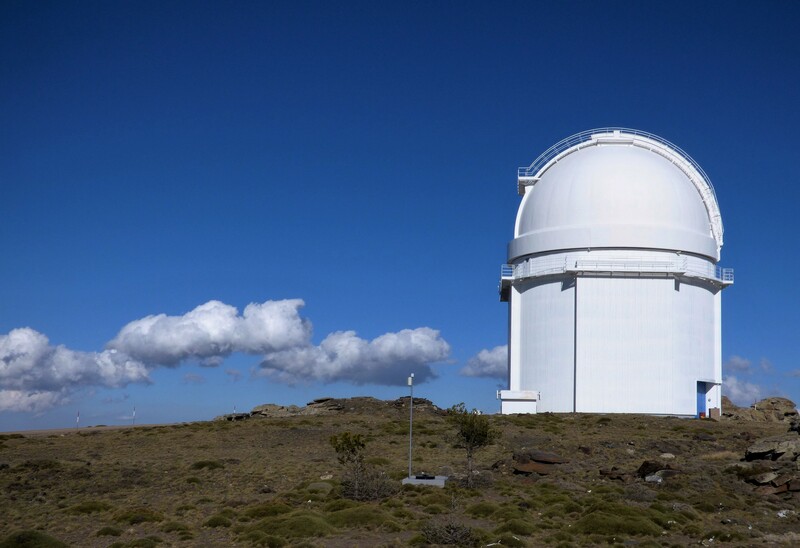 Jesus Aceituno, deputy head of the Observatory: “it is important for society to know that Spain is a world leader in astrophysics research and that Calar Alto has been, is and will be an indisputable leader in this area“. It’s an impressively thorough set-up. While the domes dominate the site architecturally, other buildings, some tucked away behind a slope or a cluster of pine trees, serve equally important purposes. From the modest control centre the telescopes can be remotely pointed to the chosen area of sky. On another side of the complex lie storage and maintenance facilities and the modular, functional sleeping quarters for the on-site scientists and technical staff. Across the road is the social hub comprising the canteen, hotel reception area and shady, contemplative chill-out zone. This isn’t your typical workplace. It’s more of a community, but as office hours here aren’t exactly 9 to 5 it’s just as well. Today, the weather is fine, mighty fine. The skies are picture-postcard pretty and the sound is pure, devoid of the constant background rumble of industry and modern life. Ironic, given the high-tech establishment here. A turn of the head changes hazy coastlines into challenging ski slopes into shimmering high plains, and a visit up here is worthwhile on that basis alone. As I wander around (slightly breathlessly due to the thinner air) taking snapshots of domes, sweet domes, I can’t help but recall the buzz of excitement I felt when I bought my first astronomy book at the age of 11. How I would have relished the opportunities now on offer. But I won’t wallow in nostalgia. There are new perspectives to embrace. There are many ways to immerse yourself in the rich culture and environment of this south-eastern corner of Iberia. You could dance away to flamenco and reggaeton at a frenzied village fiesta. Say ‘buenas’ to the Spanish ladies sweeping their doorsteps like it’s a national sport. Take a road trip through the stone and russet valleys & devour fallen roadside oranges. Or sip a glass of sangria at the beach-front bar as the sea rolls gently back and forth. It’s what you’d expect to do. Just remember to look above the horizon from time to time. That is where the unexpected awaits you. Disclosure: I visited Calar Alto independently as part of a meeting with the Azimuth team. All views and opinions are those of a half-Spanish life-long astrophile and aspirant space cadet, i.e. mine. My thanks to Javier and Victor from Azimuth for their time and hospitality. Directions: There are several ways to get to Calar Alto. Allow plenty of time as there are multiple road bends to navigate. Take plenty of water, sunblock and warm clothing/layers. Some food is also recommended as there are no public catering facilities for ad-hoc visits. From Almería centre take the N-340a northbound. On the outskirts of the city pick up the A-1000, leading to the main A-92, heading N/NW. After 37km you’ll approach Gérgal. Take the A-1178 north. After 20km you’ll find a signposted entrance to Calar. Take this turn (onto the AL-4404) and continue until you reach the main site. If you bypass Gérgal you can pick up the AL-4404 a couple of km later. It’s a longer (30km) taking you to the western side. From Google, it looks less steep but without many protective road barriers. From Murcia direction pick up the A-334 near Huércal-Overa. After 56km take the A-1178 from Serón. After 23km keep a look out for the signposted entrance. It’s then a sharp right onto the AL-4404 leading to the main site. Approaching from Granada, take the A-92 eastbound. Continue until the AL-4404 or the A-1178 from Gérgal as before. It looks easier and more direct than going through Baza and coming in from Serón. The AL-4404 runs through the middle of the entire Observatory site. Anyone can drive through, stop and take photos – as long as they don’t cause any obstruction or detour onto the Observatory’s own access roads. Hi, thank you for your article. I have booked a trip to France to a place called Astrofarm, which is kind of an astro b&b run by an English family. You can rent a multitude of scopes or you can bring your own equipment which I will do. I will be staying there a full week in summer, hoping to do some astrophotography. The owner also organizes workshops and helps you out if you’re stuck. It sounds like astro valhalla for me, and if I have a great time I think I might go there once a year :). Just wanted to share this as you might be interested too. Sounds like a fascinating place to visit. How much does the ‘Astronomer For One Night’ experience cost? It is wonderfully different. The ‘Astronomer For One Night’ is €199 (approx.£150) – very reasonable. It would make an unusual gift 🙂 Basic Observatory visits start at €10! !